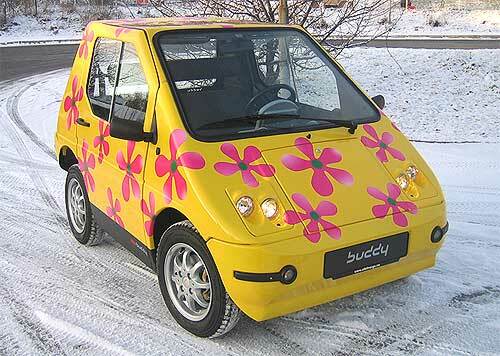 Ryan just saw a post for this new electronic vehicle from Norway: the Kewet Buddy EV. Here’s a cute little youtube vid of some brits test driving it. This entry was posted on Tuesday, June 24th, 2008 at 4:51 pm and is filed under Automotive, Video Killed The Radio Star. You can follow any responses to this entry through the RSS 2.0 feed. You can leave a response, or trackback from your own site.